Australia has one of the highest rates of skin cancer in the world and school children are amongst the most vulnerable to harmful UV exposure. By contrast, exposure to the sun is allows for sufficient vitamin D levels in children, crucial for health bone development in young people. In addition, Australia also has one of the world’s highest levels of childhood obesity and much research has focused on encouraging active modes of transport to and from schools. Prof. Marcus White (Professor of Urban Design and Director of Architecture and Habitat Centre for Design Innovation at Swinburne University of Technology), Dr. Geoff Kimm (Research Fellow at the Smart Cities Research Institute at Swinburne University of Technology), and Dr. Nano Langenheim (Lecturer in the School of Design at the University of Melbourne) undertook research to try and find a way to balance the need for protecting school children from excessive UV exposure, whilst at the same time encouraging active modes of transport, such as walking and cycling to school and around neighbourhoods. Moreover, they identified the kind of urban transformation policies and practices which increase the potential for school children to walk to school, maximising their exposure to sun in winter (for vitamin D), while also minimising UV exposure in summer. Prof White and his colleagues used PedCatch, an animated pedestrian catchment modelling tool that can integrate and exclude safety aspects of the pedestrian network, together with 3D tree modelling, 3D precinct modelling, and temporal solar impact analysis, to model light and shade characteristics of the urban walking environments of children in Melbourne. This work built on previous work AURIN and the Australian Research Data Commons – ARDC (formerly the Australian National Data Service – ANDS). For this particular piece of research, Prof. White and his colleagues used tree data sets, as well as PSMA Australia and Open Street Map (OSM) network datasets – available for academic and government researchers through the AURIN Portal – as the basis for the pedestrian catchments underpinning their agent-based modelling. The researchers were able to filter out major busy roads and freeways, to exclude components of the network along which pedestrians are not able to walk. The accessibility of network datasets like those provided by PSMA Australia and OSM, as well as tree data sets means that researchers can undertake multi-variable accessibility analyses like these with considerable ease. We used to spend a great deal of time and effort trying to get hold of asset information like roads and trees through local councils. We now prefer to use AURIN and get the data immediately and then spend our time doing research. It used to take us days or in some cases weeks to chase and collect relevant data sets, we can do in just seconds. AURIN is an outstanding resource. Prof White and his colleagues were able to demonstrate that by using these modelling tools, planners, researchers, and policy makers can assess the walkable environment of a school given sun and shade requirements, considering the time of year, the solar impact of street orientation, urban form, street tree size, spacing, species and location. This provides a powerful means to optimise a walking environment to optimise potentially competing health needs and outcomes. 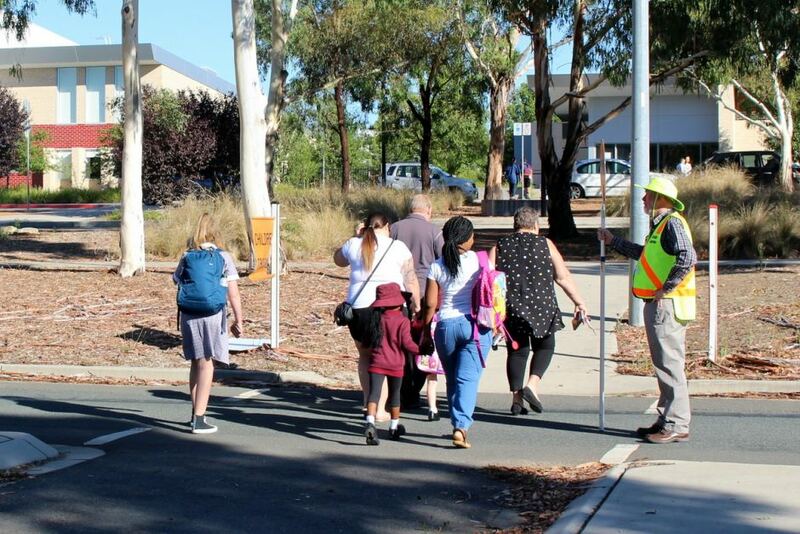 The research also showed how the tools can be used to test the likely impacts of changes to the urban environment – such as increasing canopy cover or changing species, or by changing street setbacks – on the walking environment experienced by school children. This research has the potential to have considerable implications for policy-makers, planners, and designers, as well as schools and their students. The tools and research described here can help lead to the development of walking environments and local communities that optimise active transport, physical activity and Vitamin D production, while minimising exposure to UV in vulnerable young people.